Recognizing the need of people to get passport and visa swiftly, we are offering reliable Passport & Visa Services in Meerut, Uttar Pradesh (India). Owing to acquaintance with the procurement procedures, we are able to get forms, assist you in filling them, get verification done, and provide immediate feedbacks. In addition, we will ensure the whole procedure is cost-effective. 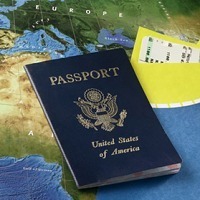 Therefore, you can rely on us to get a visa or passport without any problem.